Jerry Garcia’s infamous “Wolf” guitar will once again hit the auction block with Guernsey’s – but this time to benefit the Southern Poverty Law Center (SPLC). Guernsey’s previously sold the guitar in 2002 at Studio 54, where it fetched nearly $1 million, more than doubling the existing world record for any guitar ever sold. Now, Wolf’s buyer, wishing to support the important efforts of the Southern Poverty Law Center and its continuing fight against racism and hate groups, has returned Wolf to Guernsey’s for an unprecedented one lot auction of this most treasured instrument. 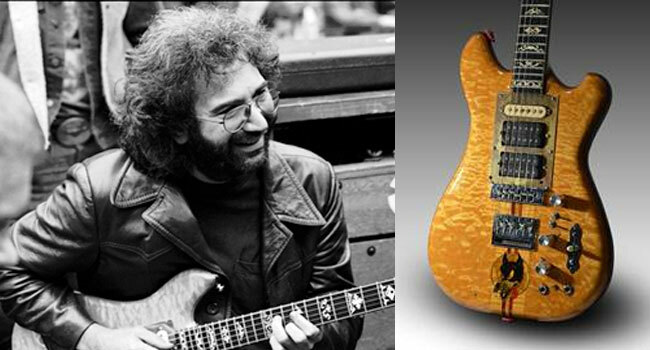 For millions of passionate Grateful Dead fans, there is only one “Wolf”, Jerry Garcia’s legendary guitar. Customized by luthier Doug Irwin, and labeled “D. Irwin 001”, Wolf was delivered to Jerry and first appeared in a 1973 New York City performance the Grateful Dead gave for the Hell’s Angels. Over the following two decades, Wolf became almost as well known as the performer himself as it was played in countless concerts and on treasured recordings throughout Jerry’s fabled career. Indeed, the 1977 film “The Grateful Dead Movie” directed by Jerry features extensive footage of the beloved musician onstage playing Wolf. From San Francisco’s Winterland Ballroom to NYC’s Palladium to Egypt’s Great Pyramids, Jerry and Wolf travelled, appearing in front of massive, passionate audiences. The proceeds of the winning high bid on this extraordinary guitar will go directly to SPLC. The Guernsey’s event, additionally supported by the Relix Group, will be held on May 31st following an evening of music played by a lineup of extraordinary musicians live at NYC’s fabulous Brooklyn Bowl. Absentee bidders will also be accommodated. The auction of Wolf comes only days after Amazon’s upcoming release of the Martin Scorsese-produced four-hour documentary about Jerry Garcia and the Grateful Dead. Those interested in bidding should visit guernseys.com or contact the auction house in New York at 212-794-2280.